Okay, I admit it. Ever since I planted some radish seeds and bought a pot of dahlias, I’ve become quite insufferable. I’d been looking for a new hobby, you see. My small, north-facing balcony was looking sad and bare so I decided to take up gardening. But before you could say “from seed to sprout” my hobby had become an obsession and I was finding myself boasting about my zucchinis at social events. My plant-purchasing habit has since spiralled out of control and my balcony can no longer accommodate my botanic buys. The obvious solution might be to stop acquiring vegetation but instead, I have directed my attention to house plants. Look at my beautiful plants!!! Aren’t they just wonderful? I recently signed up to the Berlin section of Freecycle, an online portal where users offer to give away items they no longer want. 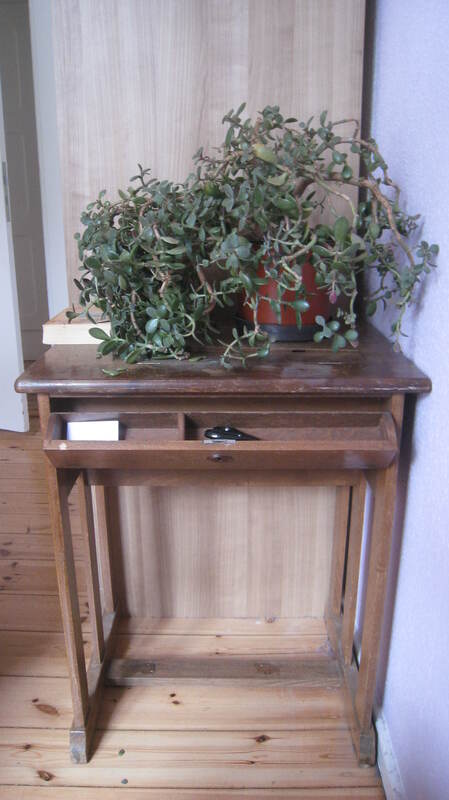 You can imagine my excitement when I discovered that someone in Friedrichshan was giving away a Crassula ovata, known more commonly as the “money tree.” He also mentioned that he intended to shed two spider plants (or Chlorophytum comosum, to nerdier naturalists). 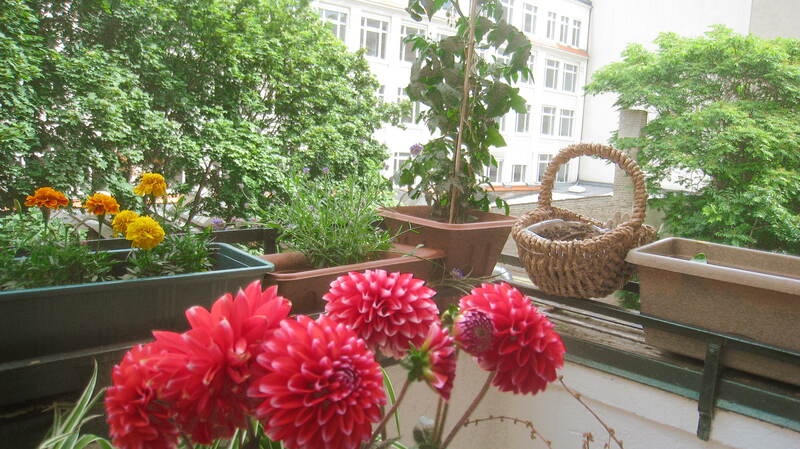 The kind stranger lived on the sixth-floor of an uninviting block of flats close to Alexanderplatz. Upon disembarking the lift, I encountered several entrances boarded up with concrete. It occurred to me that the promise of a free money tree may have lured me into a murderous, Communist-style Venus Fly trap. But soon enough a young man appeared and led me to his doorstep, where the three potted plants were ready for collection. This money tree is NOT a desk plant. The money tree turned out to be several times larger than I had expected. It became clear to me that this was not going to be the desk plant I had envisioned. My benefactor was slight and shy and appeared quite keen to keep our encounter brief. He expressed some sympathy with me for having to ferry the portly plants across the city and advised me to re-pot the money tree. As well as receiving quite a lot of attention on the tram, I was a little concerned about the fact that I was on the way to a work social event and would not have time to stop by at home to drop off my tree. Needless to say, arriving at a bar wielding an enormous plant proved an ideal opportunity once again to regale my colleagues with my latest botanic news. It would seem wrong to sign off without mentioning that my oregano is doing well, that my cress is developing nicely and that both made a flavourful appearance in my omelet this morning. My radishes are ravishing! And my cress is far from crass. 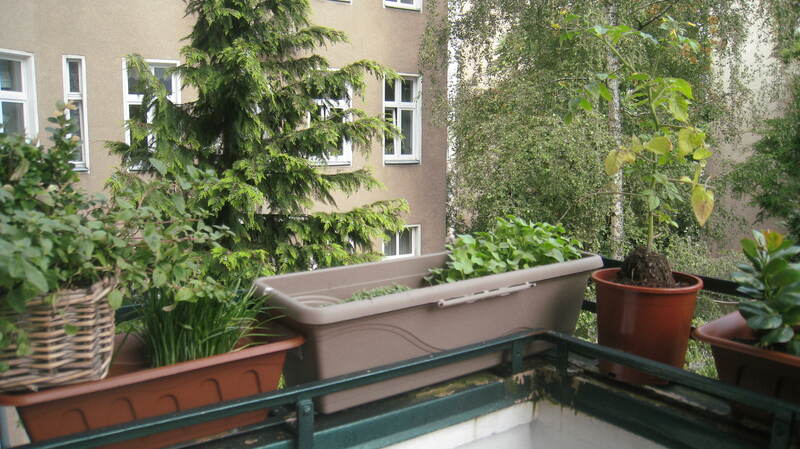 This entry was posted in Uncategorized and tagged balconies, Berlin balconies, botany, Columns, dahlias, gardening, Kate Ferguson, money tree, smug gardener, vegetation by Kate Katharina. Bookmark the permalink. Well done you. No wonder you have a little brag, balcony cultivation is not the easiest of things and around here plants die the minute they get in the door.